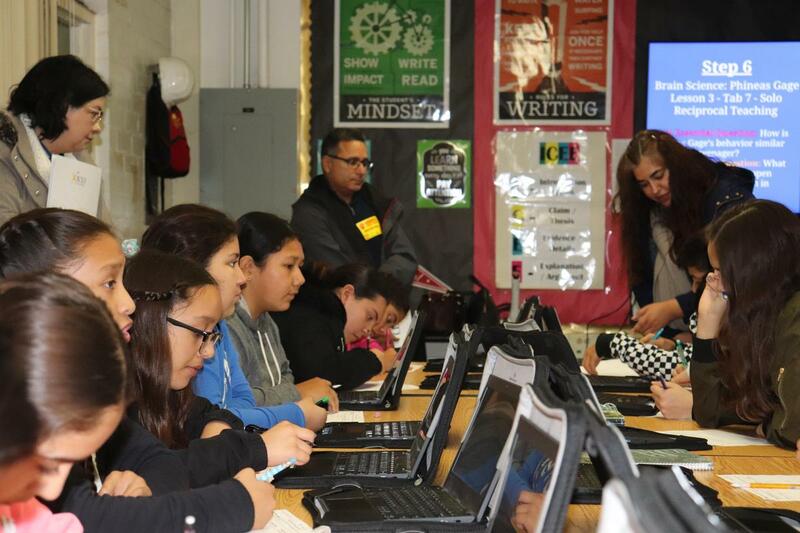 Graves Middle School hosted an AVID L.A. County showcase on Wednesday, January 16, at their site to talk with educators about their AVID and AVID Excel programs and shared about their journey in becoming an AVID National Demonstration Site. 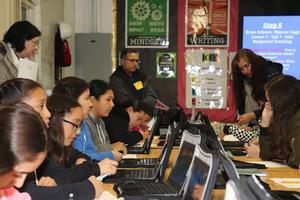 Thirty educators from Los Angeles County came to Graves to hear about their program. 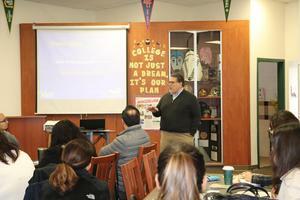 The morning began with a greeting from the South Whittier School District superintendent, Dr. Gary Gonzales. He welcomed them, commended Graves for their work in their AVID programs, and spoke about the desire to meet the need of every student. “When I go to evaluate a class or program, I always have the mindset, ‘Is this good enough for my kids?’ If not, why would it be good enough for someone else’s kid?” Dr. Gonzales shared. 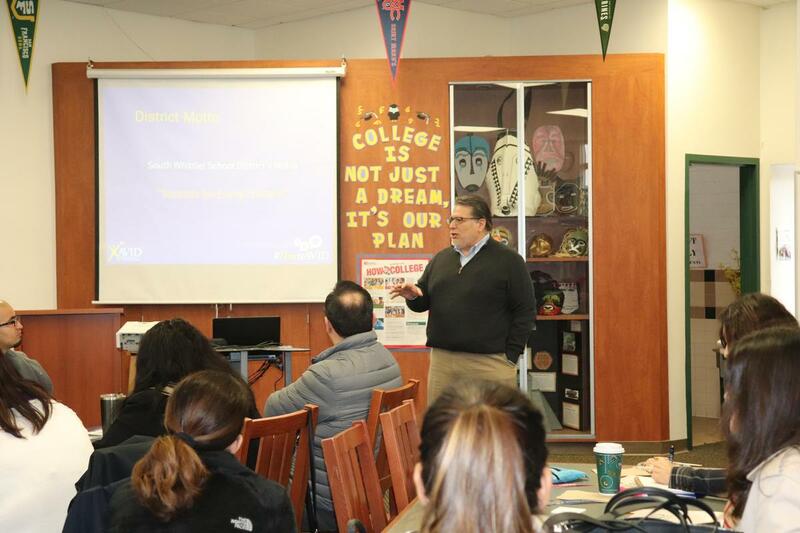 Graves’ principal, Dr. Matt Fraijo, then spoke about Graves’ journey in implementing the AVID program and the hard work that it took to become a National Demonstration site. He also gave attendees GMS statistics on their AVID program sharing that roughly one-third of GMS students are in AVID or AVID Excel. Attendees were then able to hear from different panels including students in the AVID and AVID Excel programs, teachers, and parents of AVID students. This allowed for a Q and A so they could here about the program from different perspectives. Mr. Rouse and Mrs. Cervantes, who are both AVID Excel teachers, spoke with attendees explaining that the AVID Excel program is the same program as traditional AVID there is just a greater focus on the development of academic language. AVID Coordinator, Dan Honeycutt, also shared that it is a prime focus at Graves to always show that the two programs are equal to one another, and students are placed into the program that is the best fit for them. 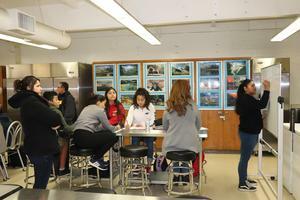 The AVID program also has five tutors and a class size of twenty-five students. The tutors help students get more in depth with their studies, which helps them have a better understanding of the content they are learning. After the Q and A panels attendees were able to visit classrooms. There they saw AVID strategies in place including AVID tutorials, WICR, or writing, inquiry, collaboration, reading, and socratic seminars. The day concluded with everyone coming back together to debrief on what they saw, what they thought, and any other questions regarding the implementation, training, and instruction of AVID strategies.